This isn’t a wee story about the iconic “western”. 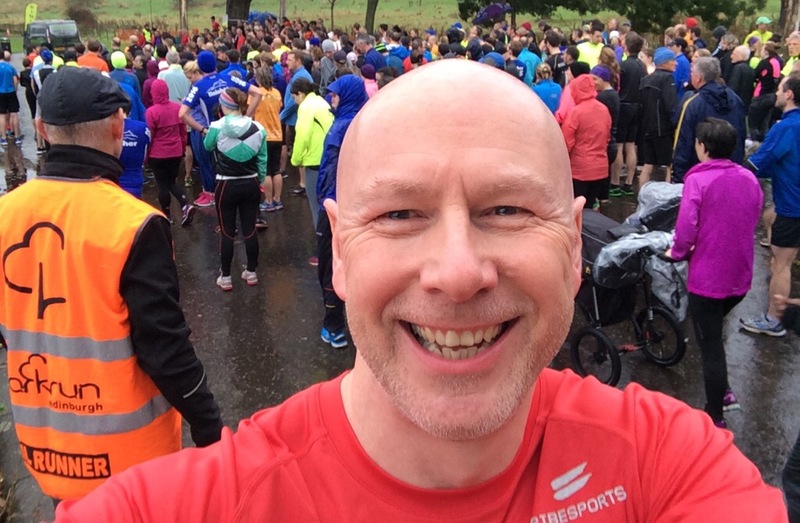 Today it was the 7th birthday of the Edinburgh variant of parkrun. After a few weeks of feeling under the weather I am now lurgy and mucus free. Is that too much information? I was swithering with phlegm, so you got off likely. Free of lurg at last my intention was to take part but I’m out of practice for the 09:30 start we have in Scotland and I was late. Thankfully the Edinburgh parkrun has it’s own time zone and 09:30 is never when it should be. It gave me enough time to smile for the camera. 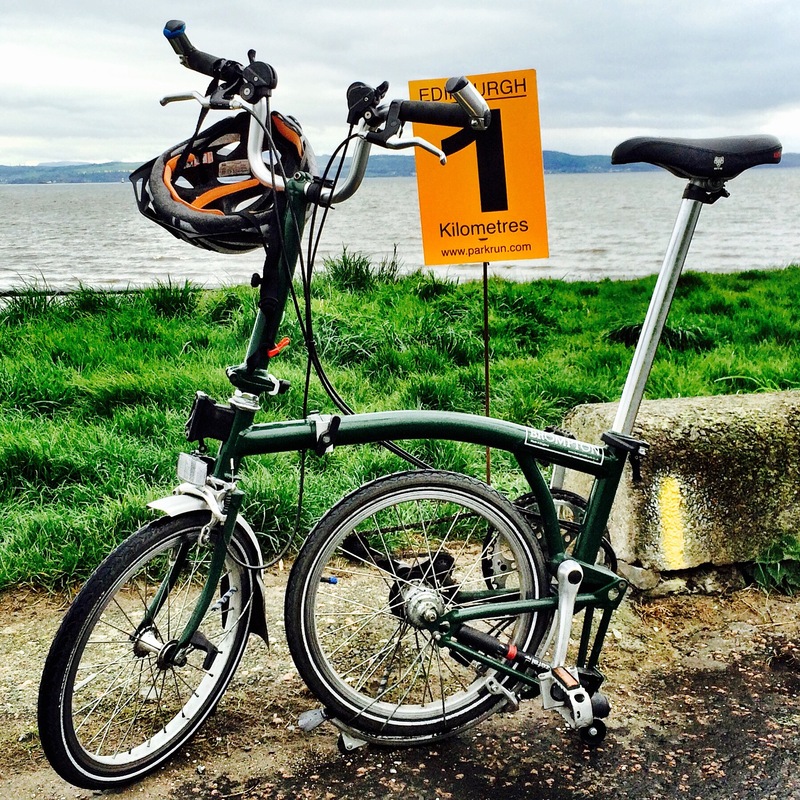 Being Cramond and Autumn there was a stiff breeze that carried rain in its bag of tricks. Today on the way out it was against you but on the way back it was a following wind. Just right for sleepy legs. I took my time, survived with no sign of respiratory malaise or unbridled coughing so a box ticked. After scanning of the position and barcode tokens, I was about to head home avoiding the cake line. 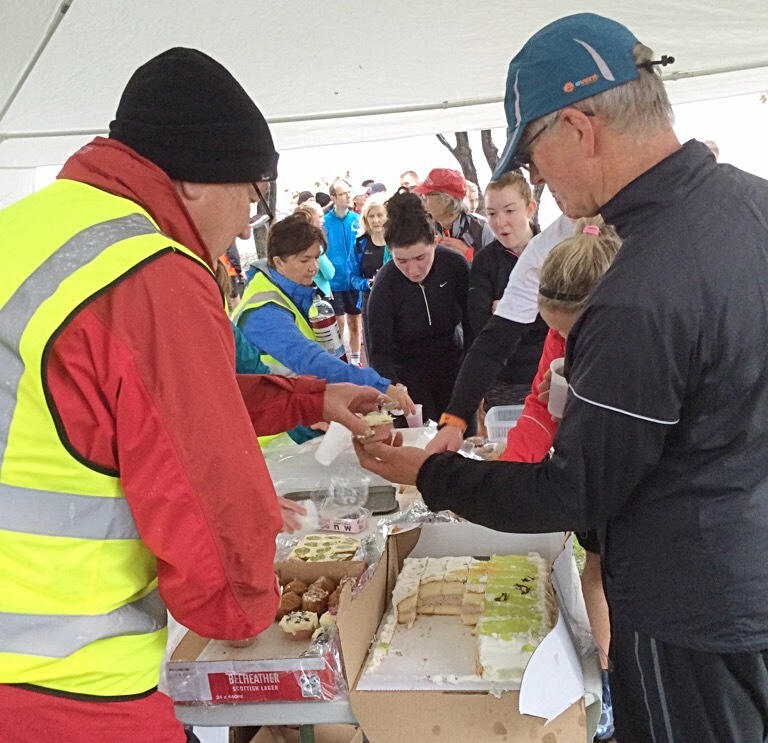 Being a celebration and parkrun there was – of course – cake. Sadly this is so often off my post parkrun experience due to the poisoning effects of gluten. 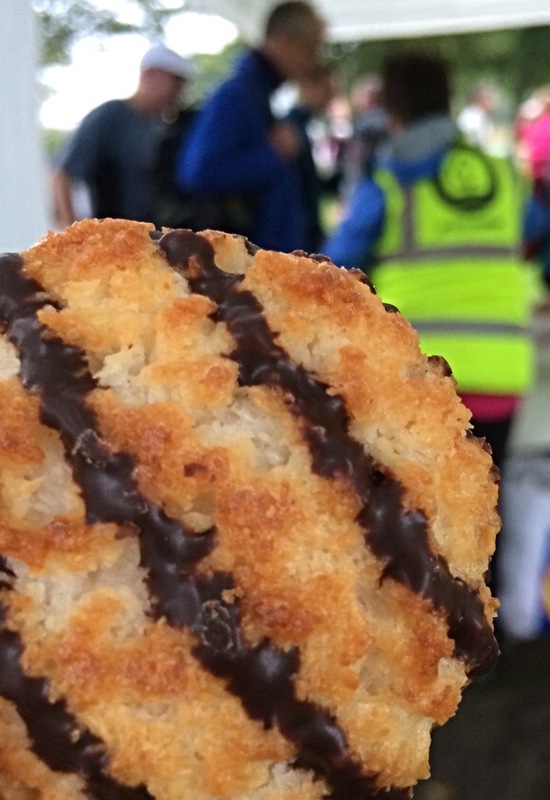 Not today though; some wonderful volunteer – bless their double layered, blister preventing, knee high compression socks – had provided Mrs. Crimbles gluten free macaroons! If it hadn’t been for Susan the race director pointing these out I would have missed them. Another excellent example of the parkrun volunteering ethos. Thanks to Susan and the rest of the volunteering team, I appreciated your efforts today. Parkrun number 94 ticked and I think there might be a bit of parkrun tourism over the next few weeks.